To celebrate the “Month of Love,” our weekly Tuesday Tips will focus on how the IT department loves the Stonehill Community, and the ways we show it! Have you ever found yourself on campus after hours in need of technical support? The IT department and the MacPhaidin library are piloting an IT Service Desk at the library for a few weeks. 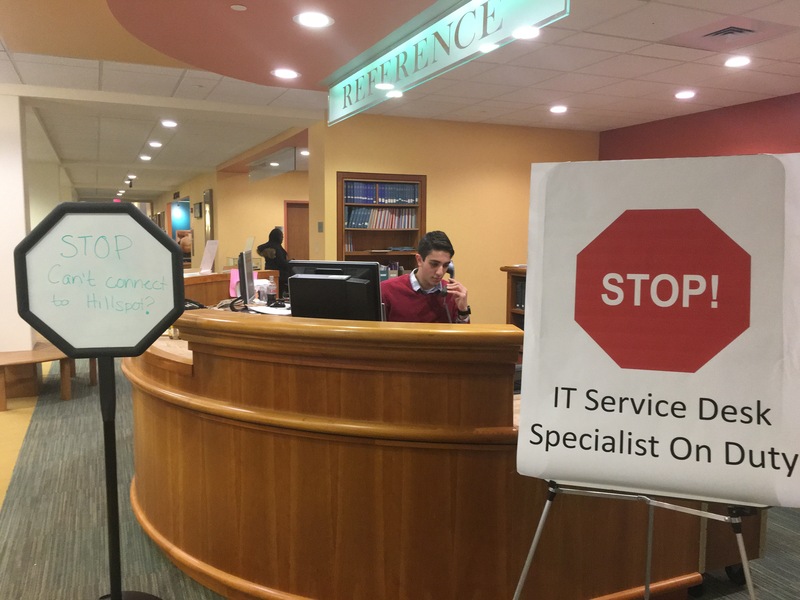 Whether it’s a dropped hillspot connection, a locked account, or an expired password, the IT Service Desk is open for business to assist with your technology needs! For more information on when and where the IT Service Desk is open and how to contact us, please visit our Support page.